When an assassination of someone close to Frank transpires, Frank orders all hands on deck to catch the killer. 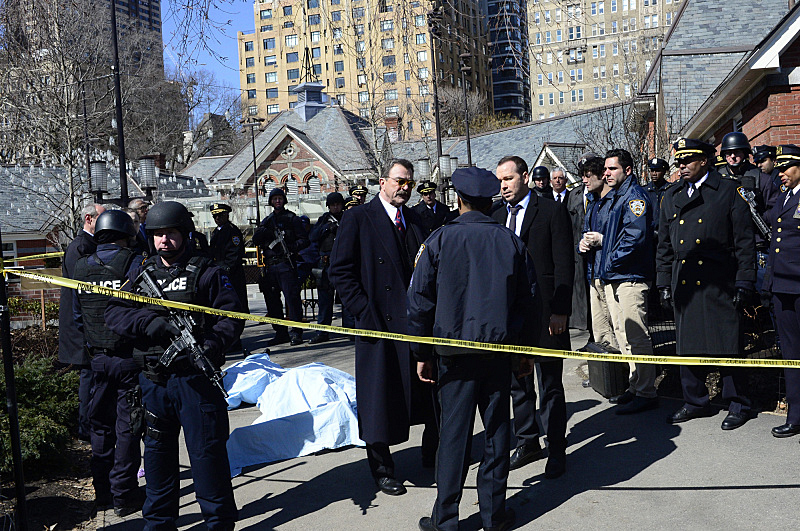 Working the case, Danny and Baez go see Mario Hunt ("Method Man"), a well-known member of a deadly gang, in the first of a two-part season finale of BLUE BLOODS, Friday, April 24 (10:00-11:00 PM, ET/PT) on the CBS Television Network. Dennis Haysbert guest stars as NYPD Deputy Chief Donald Kent and Cliff "Method Man" Smith guest stars as Mario Hunt, a well-known member of a gang. Pictured: Tom Selleck as Frank Reagan, Donnie Wahlberg as Danny Reagan. Photo: John Paul Filo/CBS ©2015CBS Broadcasting Inc. All Rights Reserved.